Wexham Green, a new development of two, three and four-bedroom homes in Berkshire, is hosting a ‘Spring into Spring’ event on Saturday 24th and Sunday 25th March to showcase its new collection of three and four-bedroom homes, landscape grounds and the lifestyle on offer at this attractive rural yet well-connected scheme. Special incentives will also be available for this weekend only including exclusive offers to help those interested in moving into their new home this spring, and an interiors package which includes lighting and soft furnishings. Two stunning four-bedroom showhomes will be open for viewing, demonstrating the excellent specification of the houses. The event will also provide the first opportunity to explore the recently completed landscaped grounds which form the first phase of the development. Wexham Green, a collection of 104 two, three and four-bedroom homes, is being delivered by Slough Urban Renewal (SUR), a joint venture between Slough Borough Council and Morgan Sindall Investments. 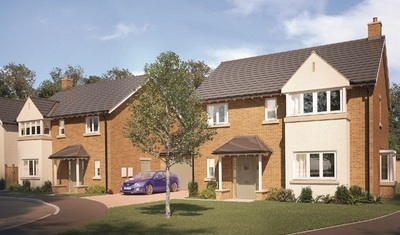 Prices start from £495,000, and Help to Buy is available on all homes priced under £600,000. For buyers with an existing property to sell, an Assisted Move scheme is available, where liaison with estate agents and solicitors is handled on the homebuyers’ behalf and can be combined with the Help to Buy scheme. To confirm your attendance at the ‘Spring into Spring’ event, visit wexhamgreen.co.uk.